Educare is a research-based program that prepares young, at risk children for school; a specially-designed place that nurtures early learning and sends a bold message about the value of investing in the first five years; an innovative partnership between the public and private sectors to create a more efficient, more effective early learning program; and a compelling platform to drive change among policymakers, business leaders and early childhood providers by showing what quality early learning looks like. Educare of Lincoln opened in February of 2013 with 100 students and 35 staff. 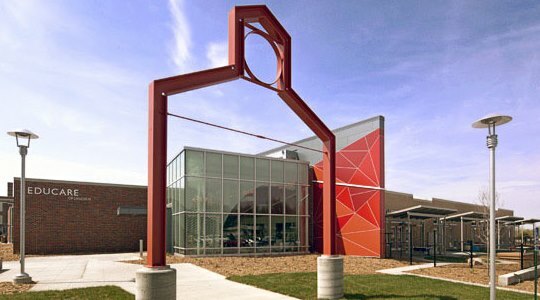 Educare of Lincoln represents a unique public-private collaboration among several community partners, including: Lincoln Public Schools, Community Action Partnership of Lancaster and Saunders Counties, the University of Nebraska, the University of Nebraska Foundation, and the Buffett Early Childhood Fund. In the typical Educare model, private funds build the facility and public funds are braided to support operations. As with every Educare Early Childhood Learning Center, Educare of Lincoln specifically targets the most impoverished children first. By providing crucial early childhood development to the most needy children, and developing a culture of parental involvement, Educare’s model is set up to affect lasting change in the lives of Lincoln’s most at-risk children. In October, 2014, Educare of Lincoln, Buffett Early Childhood Fund and Crescent Growth Capital closed on a $10MM State QEI. Using Nebraska NMTC allocations provided by Enhanced Capital Partners and Stonehenge Capital, the financing will provide nearly $1MM of net NMTC subsidy to the existing operations. This subsidy will allow Educare to double its capacity to 191 students and increase employment to 50-60 full-time staff, putting the program in position to positively impact the lives of Lincoln’s poorest families for years to come.